Packed for yet another trip to Tottori — my second for the year — I boarded my 6:50 a.m. flight from Haneda Airport, buckled my seatbelt and browsed through the brochures I had gathered on my first trip there, all carefully stored in a white tote bag. Tottori, “almost the center of Japan,” the bag says, and I smile remembering the conversation I had with a friend and a fellow traveler to Tottori. “Almost the center of Japan — is that a claim to fame?” she said, smiling, and I nodding. We landed, at Tottori Sand Dunes Conan Airport, “home” to Detective Conan, the beloved Japanese character from the famous comic series, on an early autumn morning just when the leaves in Tottori city were about to turn yellow-reddish. The air was crisp and fresh (felt even more so coming from Tokyo), the streets pleasantly empty, the people smiling and kind. It felt great to be back to Tottori, a prefecture I had visited for the first time in February this year when it was covered in snow and the temperatures were below zero. This time, I was here to enjoy Tottori in a different way from my winter experience — these three days were all about embracing nature, embarking upon adventurous activities, but still taking it slow away from my busy life in the capital. After the trip, I boarded my plane back to Tokyo with no omiyage to take back home. Instead, I had captured the following 20 photos as souvenirs, a proof of the many ways this small prefecture can surprise its travelers over and over again, as a memory of my wonderful experience there, and as a keepsake reminding me why I have completely, head-over-heels fallen in love with this place. So here they are, along with the stories behind them. 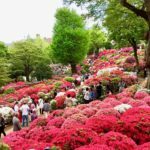 If you relate or are at least slightly curious, book your trip and see for yourself — Tottori is just an hour and 10 minutes away from Tokyo. Yes, almost in the center of Japan. 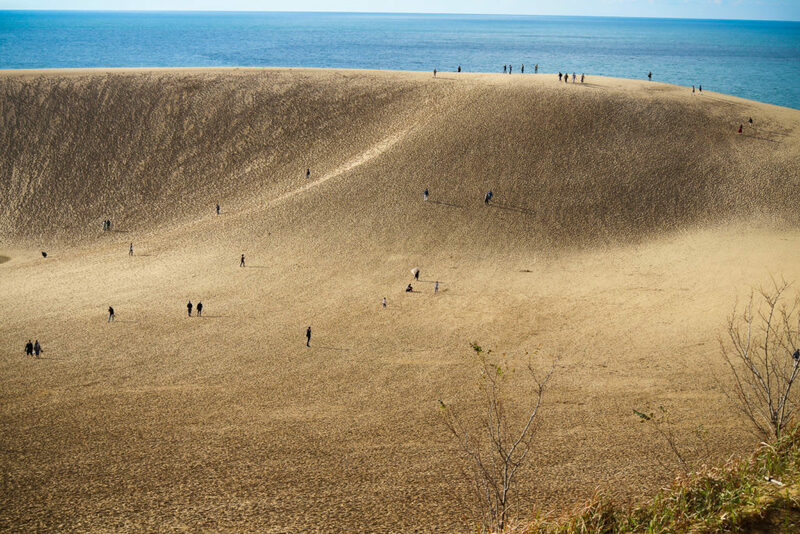 As soon as you reach the sand dunes, Tottori’s most famous tourist attraction and the largest sand dunes in Japan that are accessible to the public, you are taken aback at how vast they appear to the eye. 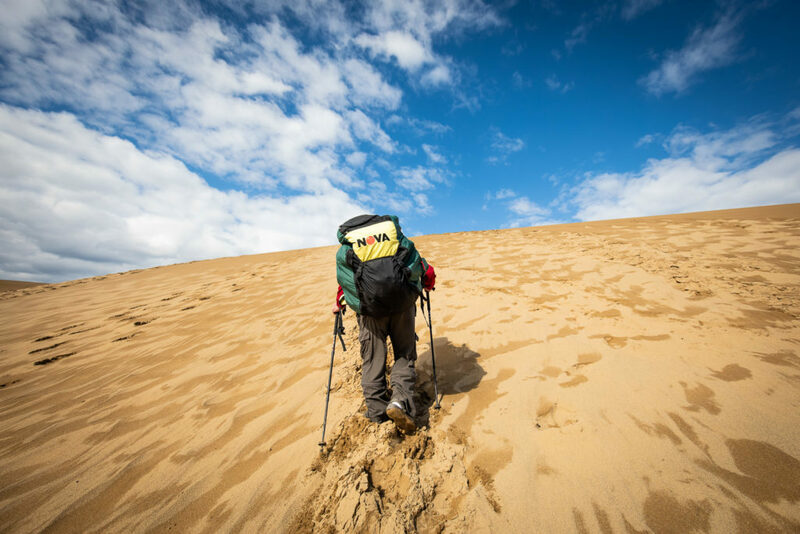 Spanning roughly 16 kilometers off coast along of the Sea of Japan, the dunes are up to two kilometers wide and 50 meters high. Just standing there makes you — and all your problems — feel so small against the backdrop of nature’s power. 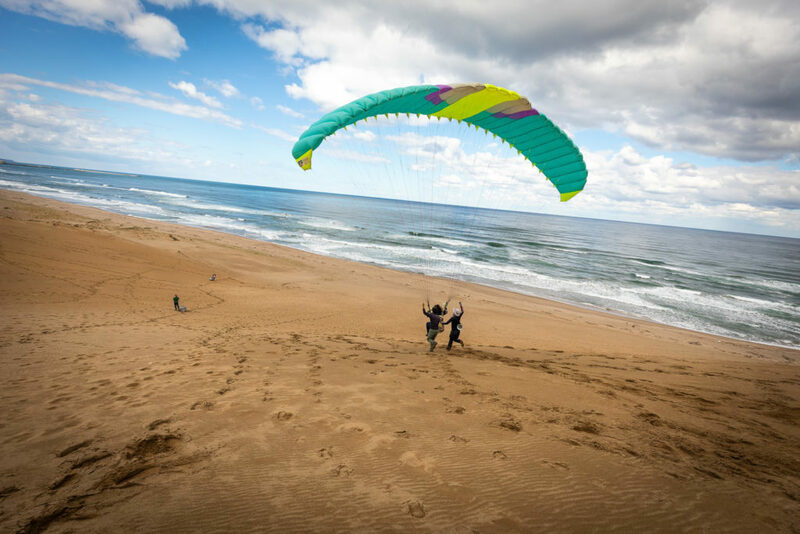 We couldn’t miss an opportunity to fly high over the sand dunes, so we signed up for one of its most famous attractions: paragliding. Booking the half-day plan (¥7,000 per person), and after undergoing a safety lecture, we were given our paragliding equipment and hiked to the dunes. After a long walk on the sand, we reached the perfect spot and up we went into the air. 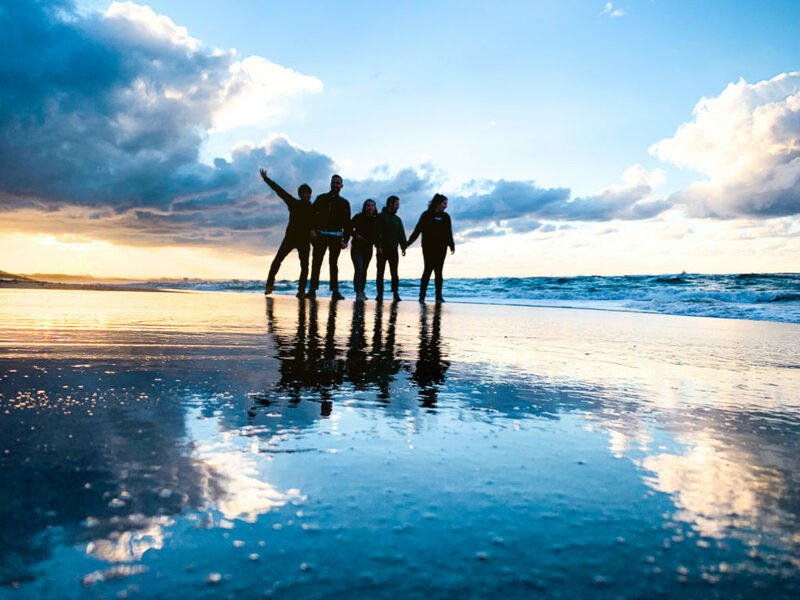 Apologies for the spoiler: you fly only for a few seconds before you hit the sand, but in those few seconds, the world suddenly quiets down and everything is just perfect. Bolivia has its Salt Flats and Tottori has its waves splashing against the sand dunes. The mirror effect is equally mesmerizing; the view unforgettably beautiful. Though it takes some photography skills (and apparently an iPhone), if you manage to stand at the right spot just when the waves hit the sands, you get this priceless image — no Photoshopping, no filters, just Tottori. It takes guts to ride this monster. As an owner of a cross bike who occasionally enjoys riding along Tama River, I thought I would be ready for this. Yet, here I was, falling off my bike as soon as my tires hit the sand. My instructor, a funny Japanese guy who for some reason went by the name Steve, laughed while pointing his finger at the bike and saying, “I told you so!” He was right. It’s nothing like riding a regular bike. But with Steve’s instructions and help, 10 minutes into this we were cycling on the sand dunes and killing it! Leaving the fat bikes for a second, we were on an off-the-beaten-track walk on the sand dunes. Our fat bike instructor (remember Steve?) 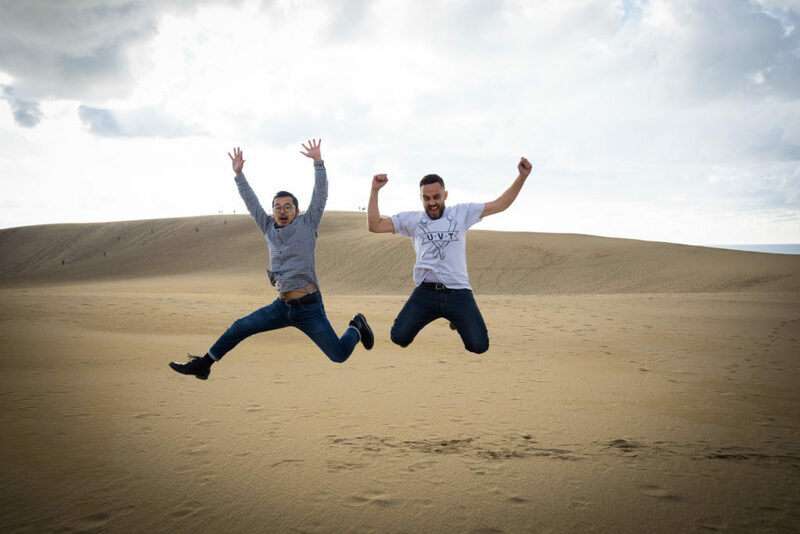 showed us a few tricks at how to take the perfect jumping photo on the sand dunes. Well, here it is, our two handsome fellow travelers taking a leap into the air. 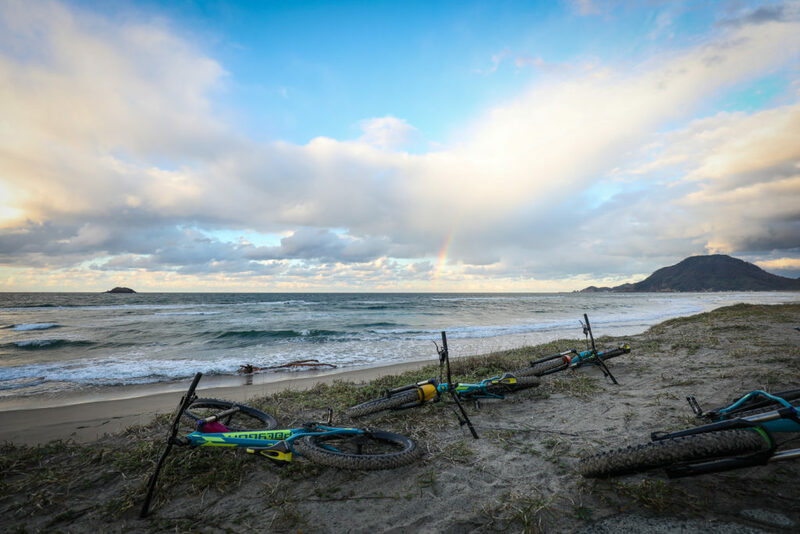 We ditched the fat bikes to capture this view: a natural collage of the Sea of Japan, Tottori’s sand dunes, the beautiful sky and a rainbow right in the middle of it all. 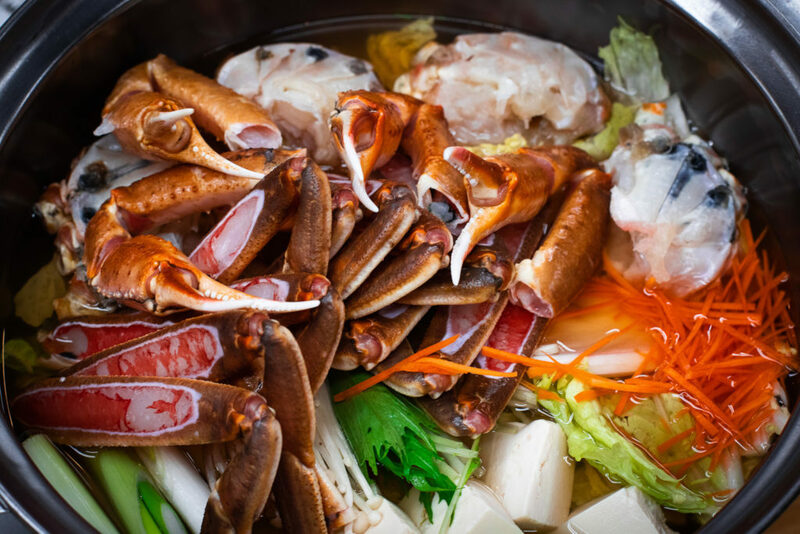 Otherwise known as the “crab prefecture” for being the region with the largest annual crab haul in Japan, Tottori is so proud of its snow crab that it literally has all sorts of dishes inspired by it. Crab nabe (hot pot) was our favorite on this trip, helping us to keep warm and stay pleasantly full but not stuffed. 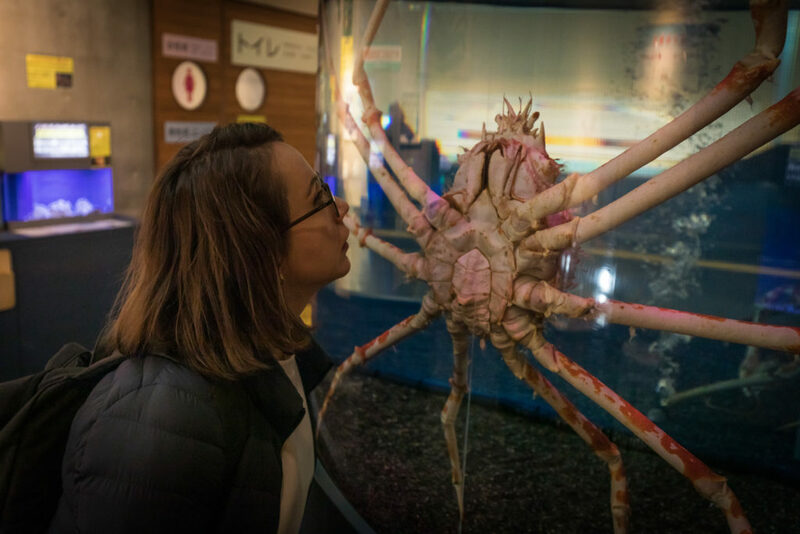 Of course, there is also a crab museum, the Tottori Karo Crab Aquarium, ruled by massive fellas like this one. The giant Japanese spider crab actually has the longest leg span of any crab in the world. 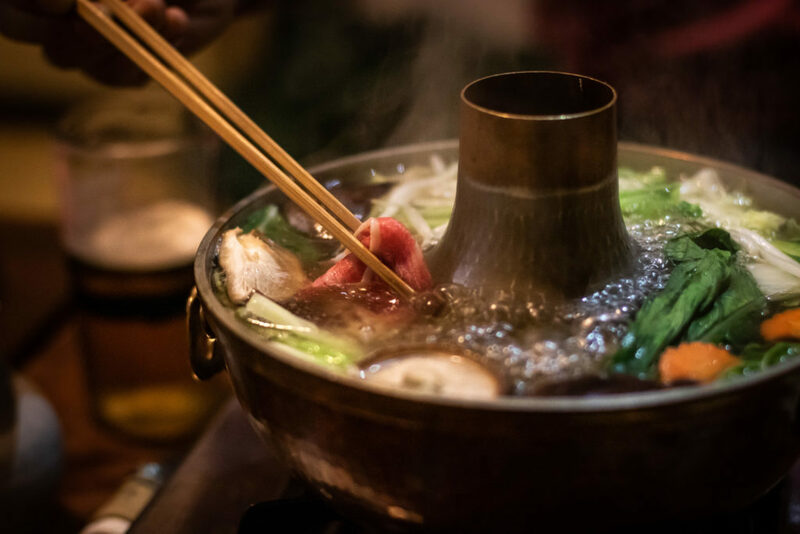 Rumor has it shabu shabu (hot pot dish of thinly sliced meat and vegetables boiled in water) started in Tottori at a restaurant called Takumi Kappo. Well, the ugly truth is that it didn’t. The restaurant called Takumi, founded many decades ago, was the creation of love from a man who brought shabu shabu to Japan from China. However, he first stopped by in Kyoto before eventually settling down in Tottori. Formalities aside, Takumi is one of the most popular restaurants in Tottori to date and offers the best quality (and I mean it!) beef shabu shabu you’d ever taste. You can hear the sound of wind and rustling of autumn leaves, birds chirping, stream floating, your eyes set on the smoke coming out of a thatched-roof house: you sit in a wooden cabin along the river waiting for your hand-crafted lunch to be served. Here is Mitakien, a Michelin Guide vegetarian restaurant that looks more like an Edo-period town you’ve just fallen back in time into. Occupying six different buildings, Mitakien is a place that brings you back to basics and lets you re-appreciate the luxury of taking things slow. 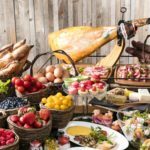 The full course here includes mountain vegetables cooked in more ways you ever thought could exist, a freshly baked trout, tofu, tempura and so much more: there are just about 15 different small dishes served in front of you and they are all as pretty as it can get. The star of our vegetarian lunch at the Michelin Guide hut however, was this beautiful natural creation: a deep-fried maple leaf (sorry, Canada, you’re behind on this.) 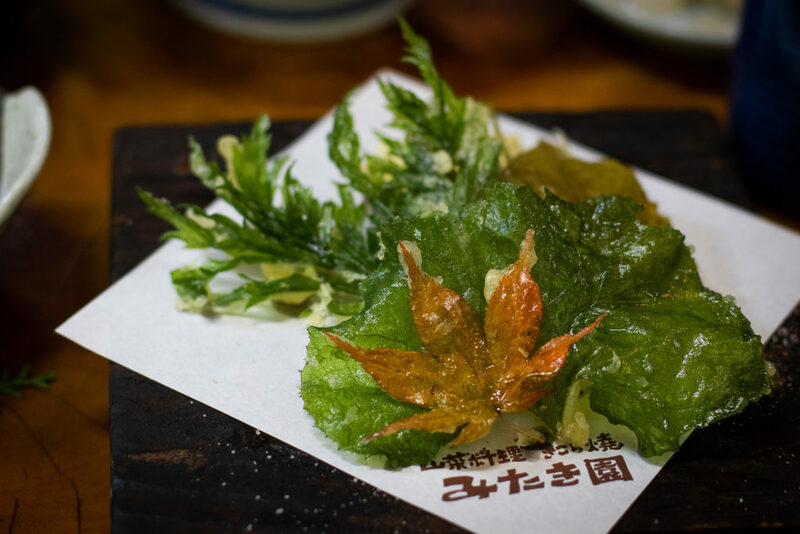 Sprinkled with nothing but salt for flavor, this tempura was certainly the prettiest leaf I’ve ever tasted. The food and the natural green of Mitakien is not the only thing that gets you captivated here. It’s the women who rule the house as if it’s their own mountainside empire. You’ll see them working like busy bees, carrying trays from the kitchen to the six dispersed dining huts, climbing and descending stairs, giving food to the roosters (yes, they have them too), stopping by at the omiyage corner to assist parting customers, taking time to explain every single dish on your plate and reminding you to cover yourself with a blanket if you’re cold — and they’d do it all with a smile. 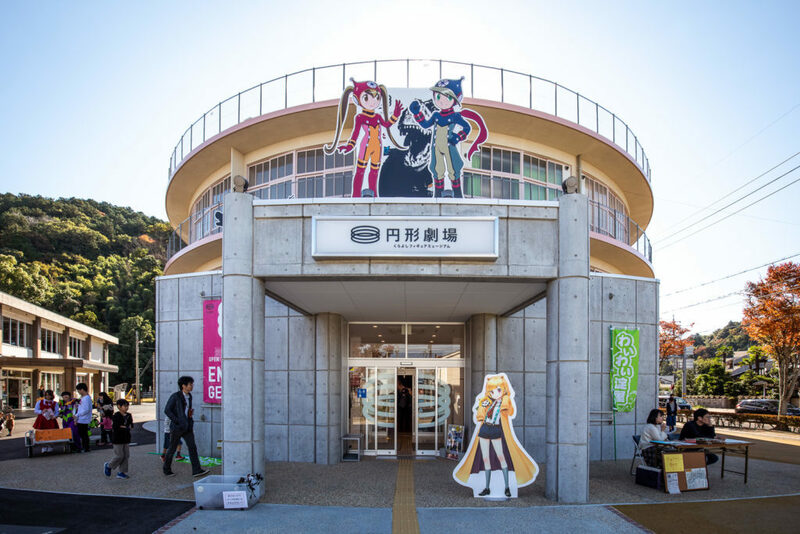 Welcome to Enkei Gekijo, Japan’s oldest circular-shaped elementary school that was just recently transformed into a figurine museum. 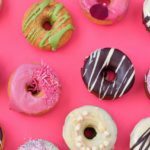 This is the home of over 2,000 figures — from pop culture-inspired manga ones to retro Japanese toys, dinosaurs, flora and fauna and basically everything you could ever possibly imagine. By the time you’ve completed the third floor, you’d have relived your childhood at least three times regardless of where you’re from! 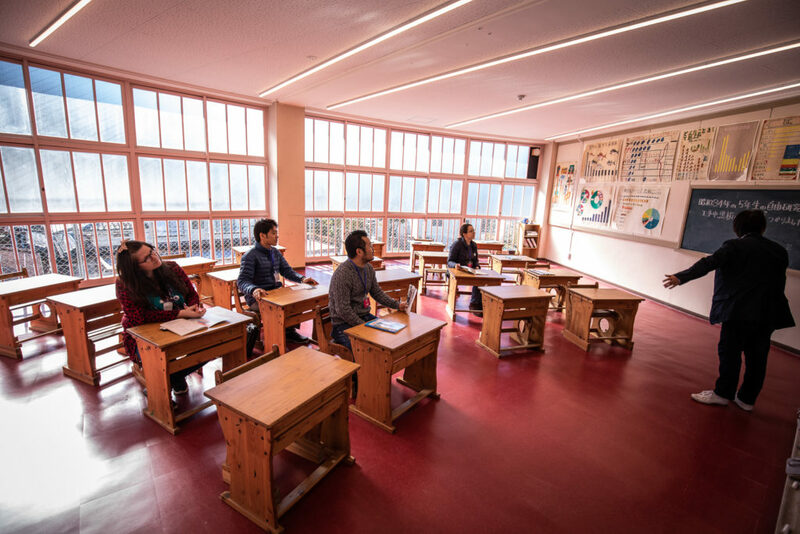 While all other classrooms of the former Kurayoshi Shiritsu Meirin Elementary School have been transformed into figure display rooms, this room on the third floor takes you back to where everything started for this school in 1955. You can see pictures of the school as it was in the old days, projects students had been working on — including comparison graphs of fish consumption across the world (what was I doing when I was 10?!). Circular-shaped schools were popular back in baby boom post-war Japan when there were too many children and too little space to fit them all in. 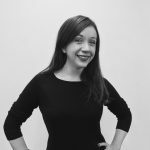 But after a few decades, as the number of children began declining, this type of architecture lost its momentum to the typical square building we have today. All round and infinite, for some reason, this school made me see things from a completely different perspective. As I stood on the first floor of the school, I kept wondering what the children who were studying here were thinking about every time they saw this seemingly infinite school roof. What were their dreams, thoughts, passions for life like? 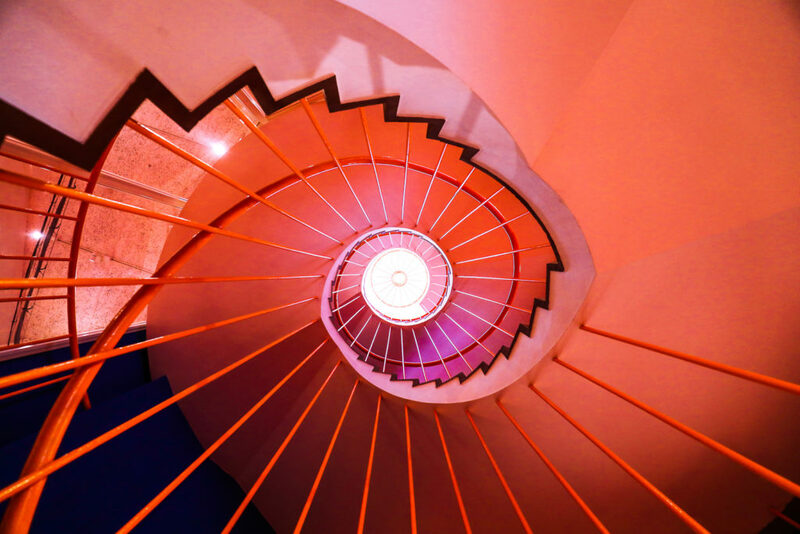 Stair by stair, step by step, you keep going in circles until you realize you’ve climbed a long way. And that’s a great feeling. 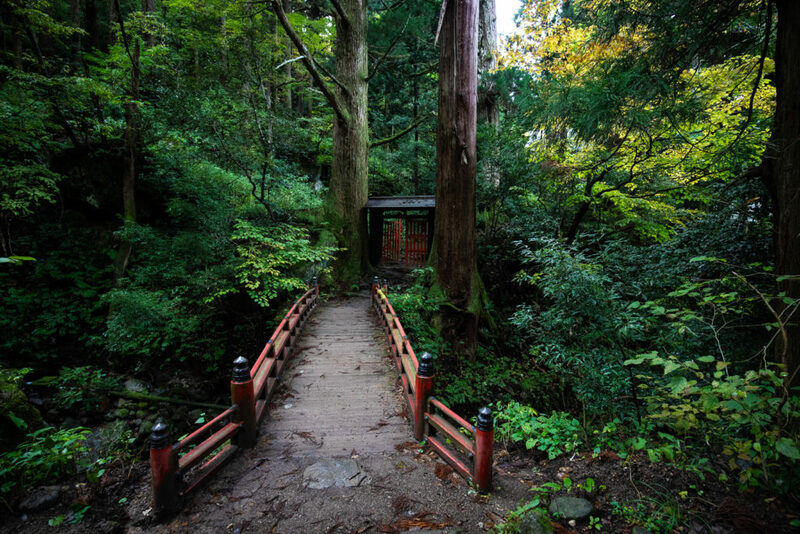 There is a place in Tottori’s Mitokusan mountain, a tiny red gate, that symbolizes the separation between the mortal (i.e. sinful) world and the other. A world of the gods found in nature and the purification of the human heart and mind — symbolically. 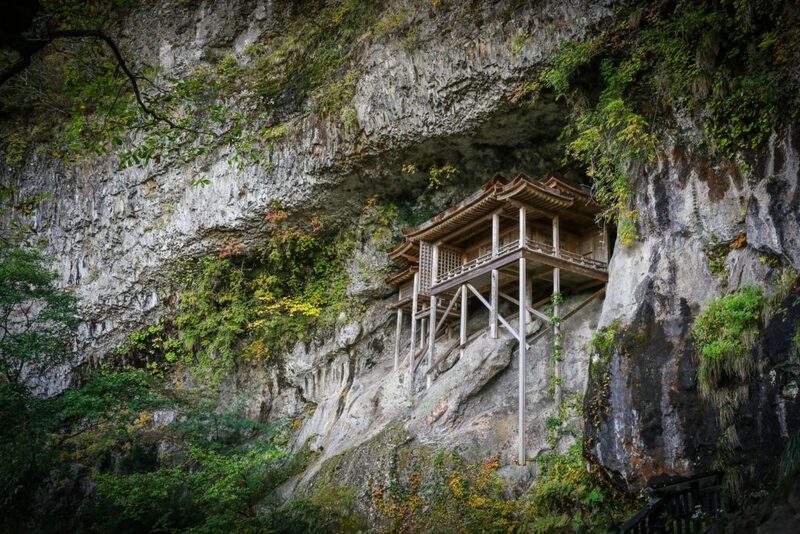 Physically, it is the gate that leads you to Nageire-do, Japan’s “most dangerous national treasure,” a stunning location everyone should visit at least once in their lifetime. That is, if they can stand an hour and a half of extreme hiking that involves every muscle, lots of sweat and a few occasional chains to help you on your way. Armed with gloves and a pair of straw sandals (turns out this is the best footwear for this dangerous hiking) and tabi socks, we started our journey to Nageire-do along with our guide for the day, a local monk who takes pride in telling us he climbs the place almost daily (while nearly barefoot). The hiking course is basically a very long and steep slope where your survival skills are tested with every step you take and every root you hold on to. And it should be — this course is a pilgrimage route, a monk’s training path since 706. It’s a place to test your endurance, to purify your mind and soul, to forget for a moment about all your earthly desires and remind yourself — as you look around — how small you and all your anxieties are in comparison to the vast nature spreading before your eyes. As we climbed we chanted “sange sange rokkon shojo,” and echoing the monks who train on this pilgrimage. It’s a chant referring to the act of leaving all earthly sins aside and purifying your six senses. 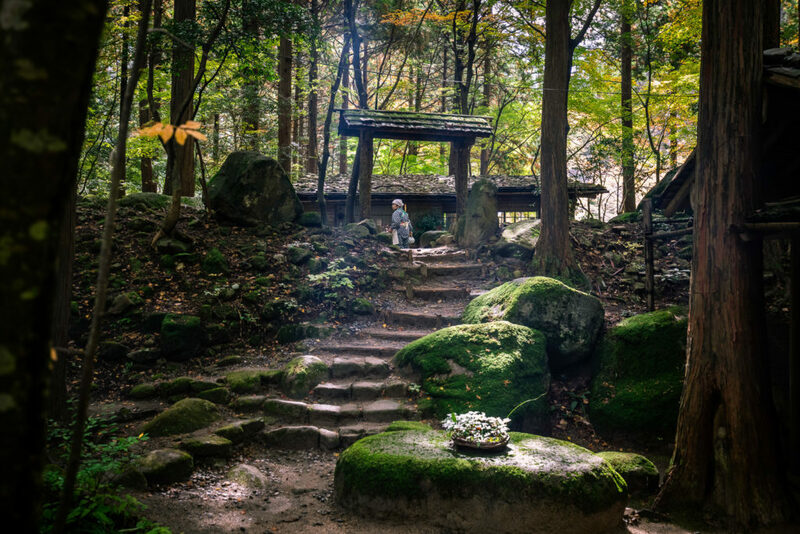 The pilgrimage hike takes you to eight temples and shrines in the Mitokusan sanctuary before you reach your final destination, Nageire-do. 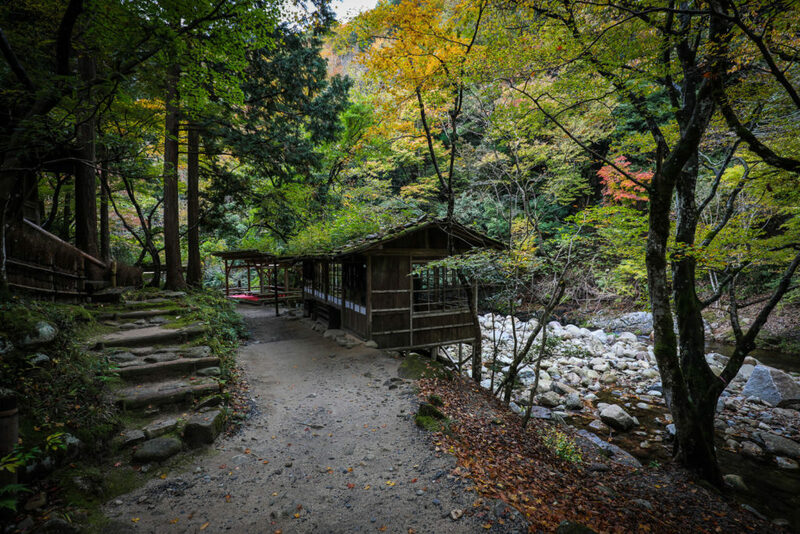 At midpoint, you reach the Monjudo Hall, one of the temples along the route where you’re invited to sit and have a rest. Your legs hanging from the edge of this wooden structure, your heart beating fast, your sweat and fear gradually reaching a peak: you’re sitting down at around 460 meters height from the ground, with no protection whatsoever. You suddenly realize how vulnerable you are to nature — and yet, there is something purely refreshing to realize how far you’ve come to look out at one of the most breathtaking views in Japan. As frightened as I was, this place will always stay with me as a reminder of how easy it is to overcome my fears if I just keep going. 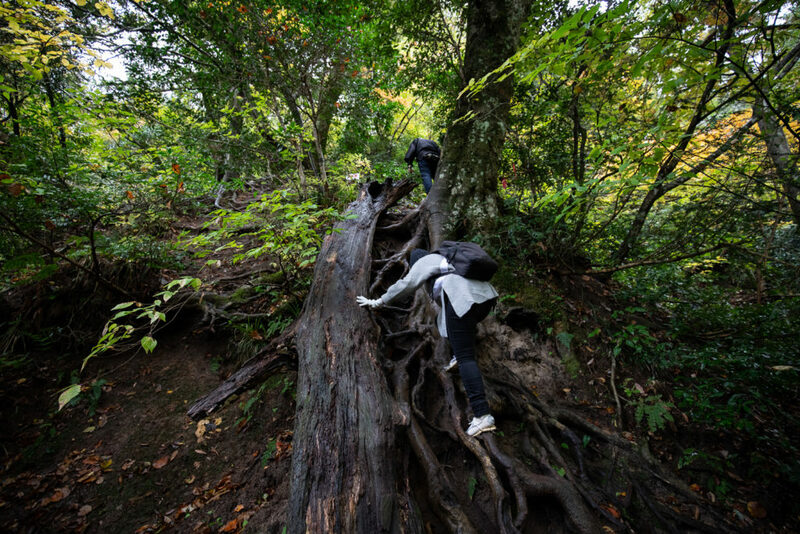 Having overcome all the fear of climbing, all the steep steps and muddy ground along the way, you finally arrive at Nageire-do, Japan’s most dangerous national treasure. The origins of this temple are unknown, though the legend goes that a pilgrim monk used magic to throw the temple onto the rock, thereby giving the temple its name Nageire-do, which literally means “thrown and inserted.” You arrive here after passing through all other eight temples, and finally, a small tunnel which represents a mother’s womb: the saying goes that you pass through a rebirth process before reaching here. During this absolutely rewarding experience, as soon as you see this view with your own eyes, you won’t regret a single moment of that endurance hike. In the end, all roads lead to the dunes. It’s somewhere that keeps dragging you back, making you want more of those extreme, yet oh-so-rewarding experiences. Tottori is that kind of place — no matter how many times you visit, there’s always something new to see. Every season, every journey, it’s a destination that gives you more than you could ever expect. It is that beautiful. That special. That memorable. And that close to the center of Japan and my heart. Getting to and around Tottori: The easiest way to Tottori Prefecture from Tokyo is by airplane. You can also take the JR Tokaido/Sanyo Shinkansen from Tokyo to Okayama and change to the Yakumo train for Yonago (about five and a half hours, altogether). The easiest way to get around Tottori is by rental car. Bus and trains from Yonago, Kurayoshi or Tottori stations are also available. Tottori Sand Dunes: You can reach easily by local bus, taxi or rental car from Tottori Station. Paragliding: Book at Zero Paragliding School. 16-45-2, Hamasaka, Tottori City, Tottori Prefecture. Half-day ¥7,000, One-day ¥12,000. 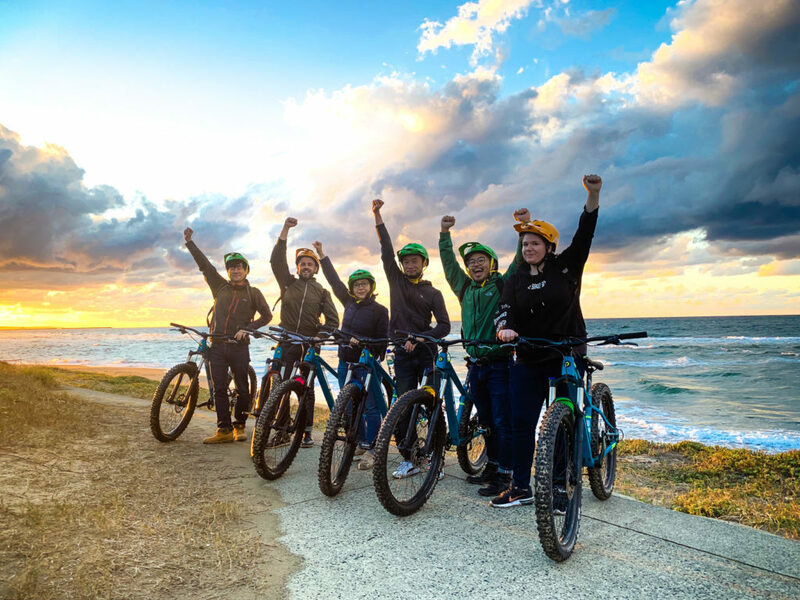 For more information on Tottori, see the prefecture’s official sightseeing website here. 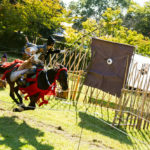 All photos by David Jaskiewicz. The best way to let off steam is to hit the road — with the girls.